The square-shape of the Baixa (low city) area brings a touch of order to the narrow and labyrinth-like alleyways of “la Alfama” district. The street known as “Rúa Augusta” is pedestrianized. 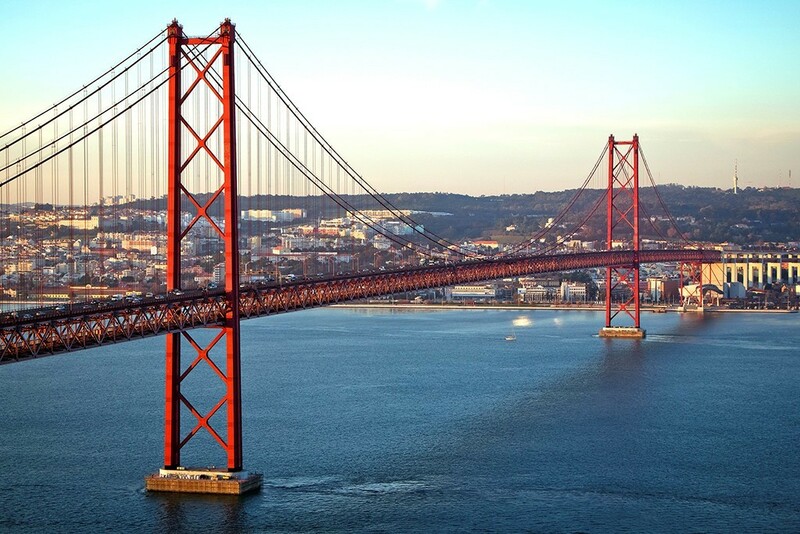 Maybe that is why it has become the main tourist thoroughfare in Lisbon, a place where you can buy all types of souvenir, from metallic Portuguese placards or delicious Belém cakes to miniature tram models. For this very reason you should practise the useful question, “Quanto custa isto?” (How much is this?) before setting out for this street. An elderly gentleman behind his small book stand, a lottery ticket seller just arrived from the square “Praça do Rossio” or a mime artist getting his street act ready are just some of the characters you may see while having a drink in one of the many terrace cafes in the “Rúa Augusta”. If you visit in the afternoon, before supper, remember to have a “ginginha”, a cherry liquor which is the favourite evening drink of all true Lisbonites. This elegant street, with bi-coloured mosaics, opens out at the square “Praça do Comerço” through “Triumfo” arch (Arco do Triumfo) which was not finished until 1873, despite it being a project initiated by Santos Carvalho to celebrate the rebuilding of the city after the terrible earthquake. 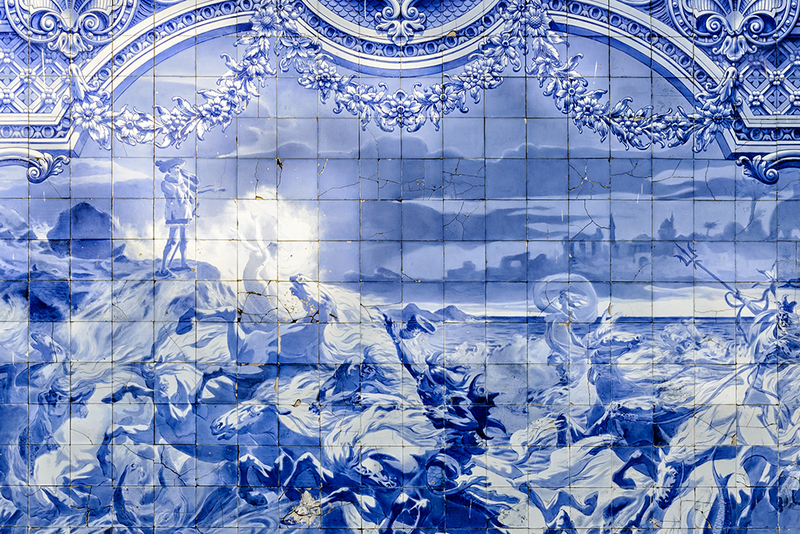 If you pay close attention to the marble’s details, you will be able to see on its surface figures of the Marquis of Pombal, Vasco de Gama and various allegoric references to the Tajo and Duero rivers. 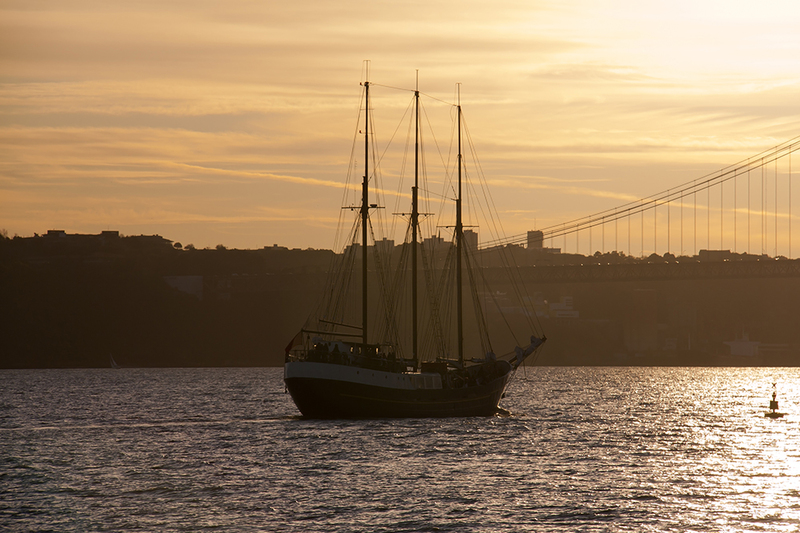 What’s more, if you like photography you should not miss out on the snapshot available at the end of “Rúa Augusta”. The “Triumfo” arch perfectly frames the equestrian figure located in the centre of the “Praça do Comerço”. If you stand in the middle of the street and manage to find a moment when people laden with shopping are not in the vicinity, you will be able to capture a picture perfect image.